Sophisticated and bursting with character, this glamorous card is for any modern bride. 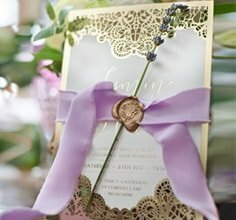 Designed to fit snugly in the inner pocket of the Noble Elegance pocketfold invitation, this RSVP card features the same intricate pattern on the main invite card. 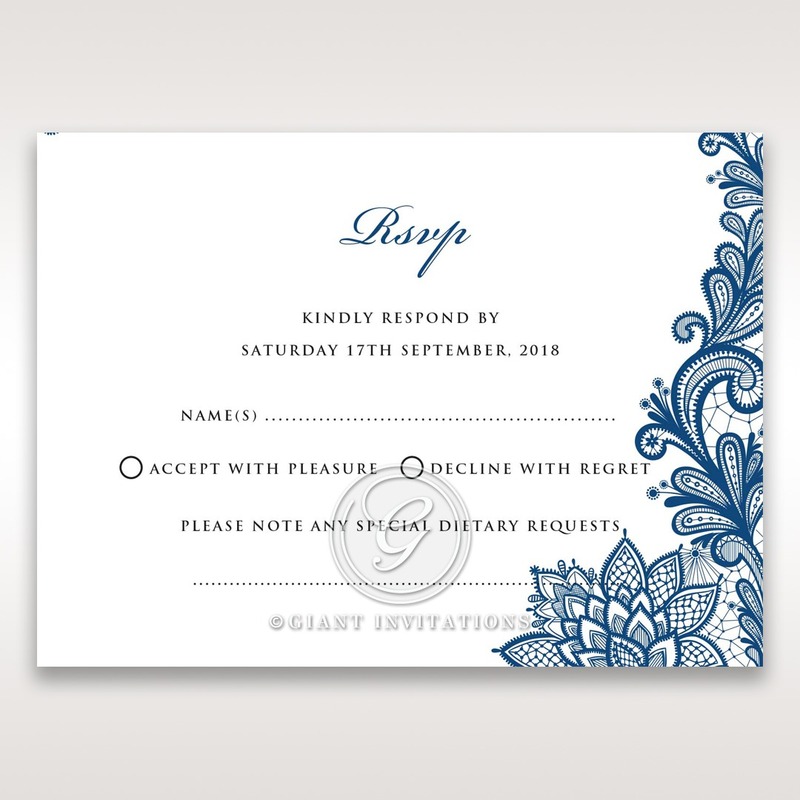 For a charming cascading pattern, the floral outline is printed at the side of the card to maintain a beautiful flow when placed in the pocket with other enclosure cards. To achieve a more feminine feel with the luxurious raised lettering, select a custom colour from the palette of our favourite shades.